Leor Pantilat on the John Muir Trail. Photo by Joel Lanz. 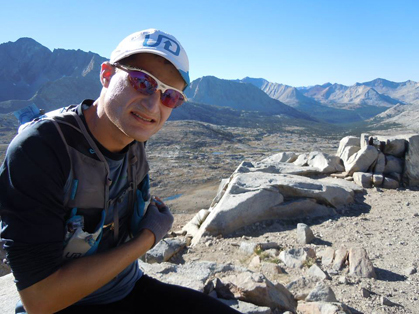 Leor Pantilat, 30, of San Carlos, California, is the new owner of the supported speed record on his home state’s John Muir Trail (JMT). Pantilat arrived at Happy Isles trailhead in Yosemite National Park Monday afternoon, three days, seven hours and 39 minutes after departing from Whitney Portal. 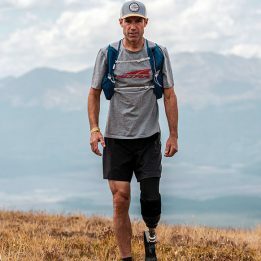 He was over five hours faster than the previous supported fastest-known time (FKT) of three days, 12 hours and 41 minutes, set last summer by Hal Koerner and Mike Wolfe. The JMT runs roughly 223 miles through the Sierra Nevada Mountains and is known for its high-altitude, highly-exposed terrain. The standard FKT route runs northbound from Whitney Portal to Yosemite. 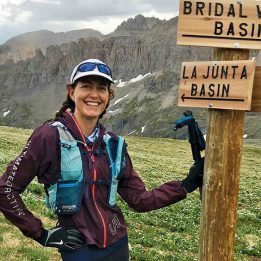 The past two years have marked a busy time for FKT-seekers on the JMT; in addition to Koerner and Wolfe’s record last summer, Jenn Shelton and Krissy Moehl attempted a supported FKT in July. Shelton finished in four days and nine hours, the second-fastest female supported time on the trail, after Sue Johnston’s 2009 supported FKT of three days, 20 hours. 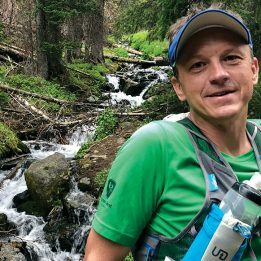 Brett Maune set the unsupported – meaning he had no access to a crew or other aid – FKT of three days, 14 hours and 13 minutes in 2009.